Has a Dunedin dui arrest left you overwhelmed and confused? Let a qualified and compassionate Dunedin dui attorney help guide the way. At the law office of Finebloom, Haenel & Higgins, our attorneys have over 30 years combined experience in dui defense. When hiring a dui attorney Dunedin residents have many options. At Finebloom, Haenel & Higgns we understand these choices. We strive to put ourselves above the rest in both courtroom practice and client satisfaction. Our Dunedin dui lawyers go to great lengths to obtain the best result possible for your unique situation. 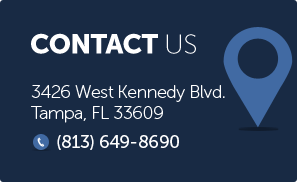 If the dui lawyer in Dunedin you hire is not willing to challenge any or all of these circumstances in your case, you could lose out on a valuable defense. If procedure was not followed for one or all of these circumstances that led to your arrest, it is possible that your case could be dismissed! This is the minimum penalty. It is also possible for a judge to order up to 6 months in the county jail for a first offense (9 months if you blew over a .15). These are just some of the reasons you need an aggressive dui attorney looking out for your interests. At Finebloom, Haenel & Higgins we understand the process. We also understand that each case is different. Let us explain your options to you! Call us now at 813-200-4412. Our dui attorneys are standing by 24/7 to speak with you! Call now and let us help you fight your case today!